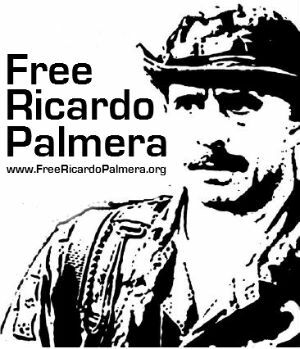 Check out the new, official National Committee to Free Ricardo Palmera facebook page! Become a fan, get updates on the campaign, oppose U.S. intervention in Colombia, stand up for justice, and oppose facebook censorship! This is part of an ongoing struggle for Colombia solidarity activists to use the popular social networking site as a tool to organize, despite ongoing attacks and censorship from facebook. The following message was sent out by Josh Sykes to all of the members of the facebook group “Facebook: reinstate the accounts of Josh Sykes, Angela Denio, and Tom Burke“. For background, see the article Progress against facebook censorship of Ricardo Palmera group: the struggle continues. We’ve come a long way. We’ve succeeded, by calling, emailing, inviting friends to this group, and otherwise putting pressure on Facebook, in winning the reinstatement of the accounts of Angela Denio and I. But we haven’t crossed the finish line yet. We still have to get Facebook to reverse its censorship of the Free Ricardo Palmera group. Additionally, there is an important development regarding the account of National Committee to Free Ricardo Palmera spokesperson, Tom Burke. A partial victory was won today, July 12, in the struggle against facebook’s attempted censorship of the National Committee to Free Ricardo Palmera (NCFRP), with the reinstatement of the account of National Committee activist Josh Sykes, followed a few hours later by the reactivation of the account of Angela Denio. After the “Free Ricardo Palmera” facebook group, with more than 700 members from around the world, was shut down by facebook on June 30, the National Committee began a fight to recover this valuable resource. In response, on July 7, facebook disabled the accounts of the three administrators of the group, National Committee activists Josh Sykes, Angela Denio and Tom Burke. 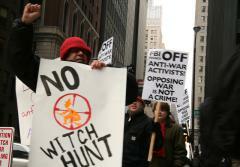 A Partial Victory – The Struggle Continues! I’m writing to you all to thank you for your support, to tell you some good news, and to say that we are not finished yet.